Overnight sleep support, sleep shaping, and sleep training can be life-changing! The nights are long, but the years are short…or so they say! You’re exhausted and quickly coming to grips with the thought of being sleep deprived forever! I have amazing news! You do not have to accept this as your best life! You can be well-rest and rise and shine once again! Our specialists work with you and your family to support your parenting style! No matter what age or stage of development your baby is in there are ways we can help you get more sleep! 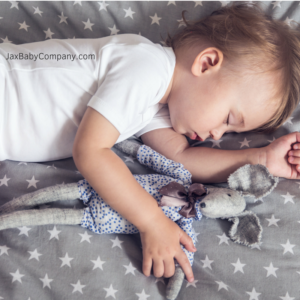 How do I know which is best for us; overnight infant care, sleep shaping, or sleep training? A newborn will always do best with an overnight infant care specialist! Ever heard someone say that they wish they could bring the nurses home from the hospital? Yeah, we fill the gap between healthcare and homecare! One on one support through the night! Sleep well knowing your baby will have very best care while you get much-needed rest and sleep. You can be a part of it all or pick and choose while we handle the rest! An infant of 3-4 months will do best with overnight infant care or to begin sleep shaping! It’s never a bad thing to keep doing what works! If you have a great thing going with your overnight infant care specialist, I wouldn’t attempt to fix what isn’t broken. However, 3-4 months is a great time to begin sleep shaping if you’re baby is showing signs they are ready, and you’re ready to commit. We implement nights, you implement days and together we get baby on track for good sleep habits! Most infants 6-12 months old have the capability to sleep through the night. They’ll do well with an overnight infant care specialist and continued sleep shaping, but are also ready for sleep training if that is more your speed! Our sleep trainers sleep train your little one for you when you’re ready! Then we teach you what you need to know to be consistent and keep your baby on track. Let our team help you find the best fit for your family! Contact us today (904) 924-4182 and get ready to enjoy some beauty sleep! Five consecutive days of email support and a phone call to round out the sleep training sessions. This package is offered exclusively to returning clients who have received sleep training, customized sleep plans, and have their little ones on great sleep schedules. This is perfect for those who have babies experiencing sleep “regressions”, strikes, and for those who just need continued support through this process. Exclusively for returning clients who booked within the last 90 days. Bring us back for 3 consecutive nights and we will help your little one get back on track!